I recently posted about the historical events and locations in The Next Together, so I thought I’d explain how I did my historical research. If you asked my editor and copy editor, they’d likely admit that I’m not the best at historical accuracy. I’m not a historian. I’m never going to be as good as authors who spent four years studying an area of history for their PhD before adapting it for fiction, like Sarah Waters. My methods involve probably more wikipedia than they really should, so don’t take this a guide to doing historical research – there’s much better places for that, like this article. This is just to give you a rough idea of how I went about it, so you can have a good laugh at naive eighteen year old me, who thought it would be so easy to write a book with three different historical settings. Firstly, I had to chose my time periods. I knew I didn’t want to write about something big, like WWII, because everyone reads about it all the time. That would have been a lot easier to research, though. Instead I chose more obscure events. I picked out a few, and then did some internet searches to see how easy it would be to research them. I started by looking for free google books, which is a great place to find primary sources (that are written at the time), because they scan in lots of old books that aren’t digital anywhere else. 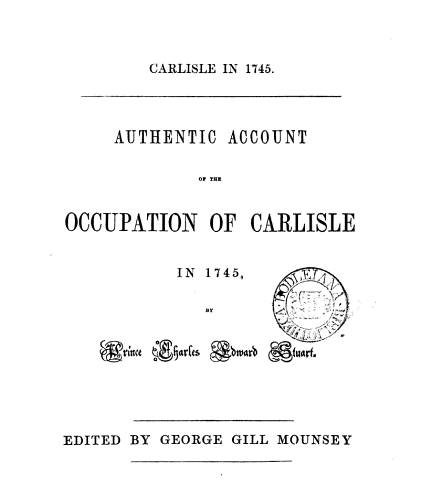 I found two sources, the diary of a journalist from the Crimean War called William Russell, and another a compilation of letters from a city official during the Jacobite Uprising, both of which are completely free to read (thanks, Google!). They are both pretty heavy reading compared to a history biography written in this century, but at the time I had no idea whether I was ever going to finish this story, so I wasn’t willing to invest £50+ in buying books. Google Books is a great free resource, and I highly recommend searching to see if you can find anything relevant. If you do buy some books, it’s probably a good idea to start with diaries. As well as being a great way of picking up the dialogue style, and authentic slang, they have the kind of detail of day-to-day life that’s harder to find in general history books, and it’s also a great way to get inspiration. I found an anecdote about soldiers stopping in the middle of a battle to pick grapes in a vineyard – and then wading through a river during a firefight with bunches of grape held between their teeth – that made it into the finished book. Details like that are invaluable in bringing a story to life. It’s also a good idea to try to find other point of view. The experience of a straight, white, middle-class man is going to be completely different from a woman of colour, in any period of history. Although it’s harder to find those kind of resources, there are some out there, and you can’t dismiss their experiences- they are often the most interesting. I bought a copy of the letters sent home from a soldier’s wife who travelled to the front during the Crimean war, Mrs Duberley, to get a female point of view. Although she mainly talked about her horse (! ), it was an important part of my understanding of the period. If you aren’t sure what primary sources are out there, get a copy of The Assassin’s Cloak, an anthology of famous and obscure diary entries taken from history. As well as being an excellent read, there might be a diarist from a time period you’re interested in that you can investigate further, or a new period altogether. After I’d exhausted the possibilities of free internet databases, I turned to my University Library and got the real history books. It was useful to get a broader understanding of the events, with years of perspective, but overall I still found the diaries more useful. At this point I (finally!) started writing. I would estimate that I had to do a google search about once a page. My internet bookmarks looked like a list of wikipedia articles, because I am super lazy. There is nothing with wikipedia, especially not for a first draft. It’s better to doublecheck your facts, but you don’t need to get obsessive about it. Everything will be checked and double-checked in edits- just get the story down first. That’s the most important thing. Don’t forget that even if there’s the odd inaccuracy, it’s unlikely anyone will pick up on, unless they are a historian focussing specifically on that era. And even then, if it’s something small, who cares? It’s fiction. It’s a story, with a plot. And, especially for YA or MG, teaching children about historical events is such an important thing to do that anyone can forgive a few mistakes. Don’t let the fear of failure stop you trying, because before your book gets published there’ll be a whole series of people helping you with it, to make sure you don’t embarrass yourself. I also decided when I started writing that I wasn’t going to have authentic dialogue. I tried to make sure I didn’t use overly modern slang, like ‘okay’ or ‘alright’, but I think as long as it’s not jarring it’s better to keep it simple. I would rather one person be annoyed by inaccuracies by dozens of readers being put off by dialogue that’s too dense, that they can’t understand. Plus, I would have hated writing it! After writing a historical novel, I’m now taking a break from history for a while and focusing on futuristic fiction. However, I do want to go back to history eventually, because it’s oddly satisfying to uncover a historical event and make it seem real. Next time I’ll probably approach historical research a little differently, though. I’ll look for scholarly articles, rather than just primary sources and textbooks. I’ll try and speak to researchers who focus in that area. I’ll read all the fiction I can set in that time period. But I’m always going to write historical fiction, because it’s a wonderful, educational source of inspiration. THE NEXT TOGETHER, a reincarnation romance, comes out in September. You can add it on goodreads, preorder on amazon, or you can subscribe to my mailing list for updates nearer the time here. This entry was posted in extras, the next together, writing posts on 10/02/2015 by Lauren James.